Billy Joe Saunders had, by and large, a terrible 2018. The former WBO middleweight champ lost his belt (but not his unbeaten record) due to that well-documented losing battle with a nasal spray; failing a drugs test as a result, and he boxed just once (when weighing a good deal more than 160 pounds). It certainly wasn’t the massive year the gifted southpaw was aiming for after his brilliant December win over the dangerous David Lemiuex in Canada at the end of 2017. And now it’s time for the re-build. Promoter Frank Warren says “the quest is to get him back his titles and to get him back his ranking with the WBO,” and that Saunders’ return will take place in April. The big fight Warren is shooting for and hoping for is Saunders against Gennady Golovkin (who, despite fighting brilliantly, didn’t have the best 2018 himself; with just one win and then that draw with you know who) – and the promoter said talks have begun between his son and GGG promoter Tom Loeffler. But as Warren says himself, is there anything for GGG to gain from a fight with Saunders now that the British lefty no longer holds a world title? As a return fight for Triple-G, Saunders would perhaps be a little too tricky, what with his slick style. 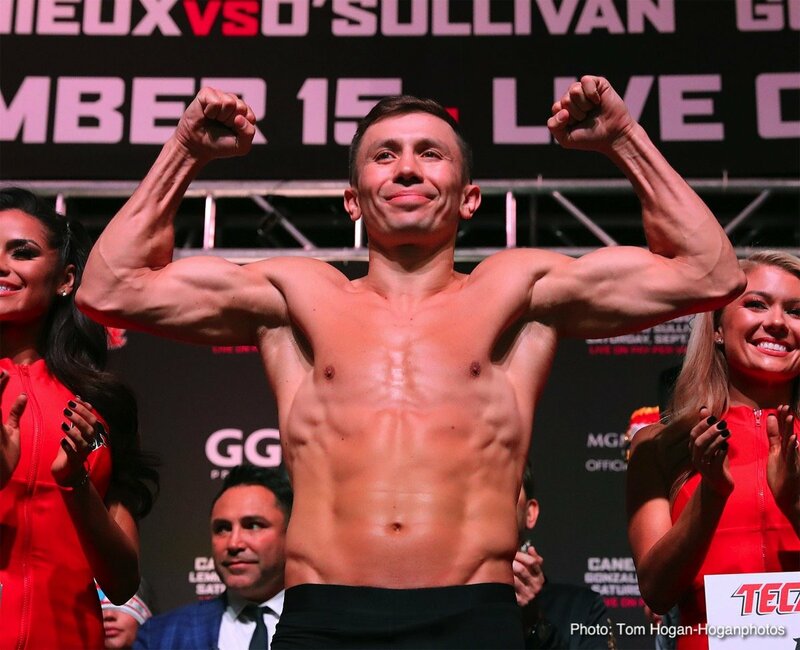 After having endured a layoff, might GGG be better off facing a more stationery target? We await news on when, where and on which TV network Golovkin will fight upon his anticipated ring return but he now has another opponent option with Saunders. Both middleweights lost their titles last year; which man has the better shot at regaining his belt or belts here in 2019?